Its name is right up there with the Titanic: a proper noun that, as a result of unfortunate circumstance, has morphed into popular language as a shorthand reference for disaster. In this case, it is a corporate disaster — a highly marketed, ridiculously expensive roll-out of a new product that utterly fails to appeal to the masses. It has endured for almost 60 years as the ultimate business failure, has survived challenges by New Coke and Betamax VCRs and countless other duds, and still tops the lists of absolute flops. 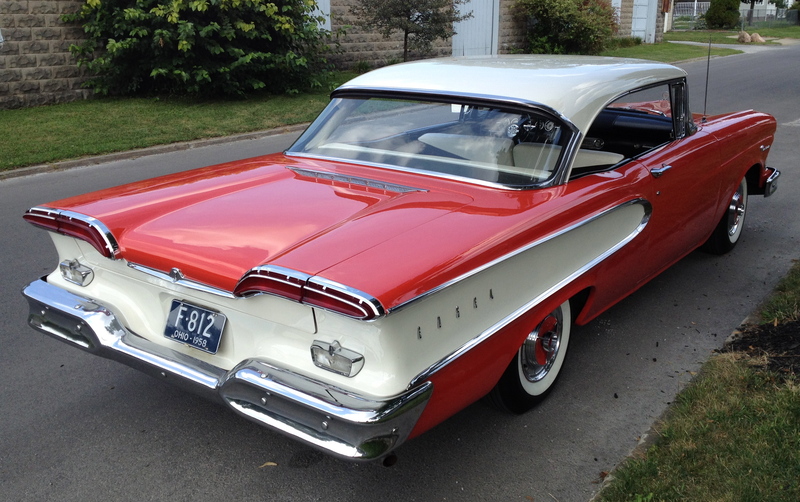 So when I saw a vintage, perfectly preserved 1958 Edsel — the year the car was first introduced to the American public — parked on the street yesterday, I just had to stop, give it a close, 360-degree inspection, and take these photos. It was a big, gleaming, two-toned, orange-and-cream-colored beauty, with plenty of chrome that caught the sunlight just right — a classic example of a ’50s-era American car. The reality is, the Edsel is a beautiful vehicle, and its allure is made all the more intriguing by the scent of failure and catastrophe that lingers around it. I wasn’t the only passerby to stop, give a low whistle, and check it out. 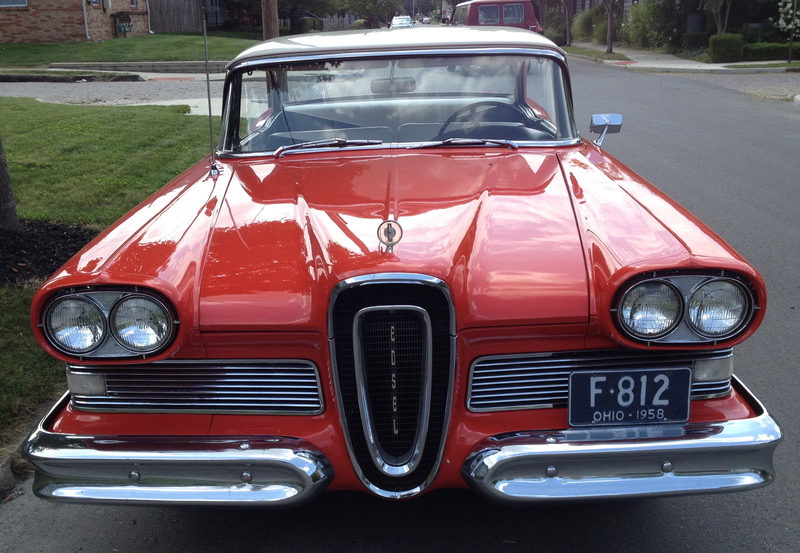 The back story of the Edsel is a familiar one. Named for the son of Henry Ford, the Edsel was an effort by the Ford Motor Company to introduce an entirely new car brand that featured new approaches to standard car features. Ford and GM were in their glory days, and GM had a family of car brands that would allow car-hungry, upwardly mobile Americans to progress from the cheaper ones all the way up to Cadillac. Ford, on the other hand, had only three brands — Ford, Mercury, and Lincoln. Ford’s “dream big” solution was to create an entirely new brand. The Edsel was heavily promoted in advance, in one of the first huge, post-World War II marketing campaigns, with ads that featured tantalizing pictures of shrouded models and suggested that America was on the cusp of an entirely new driving experience. 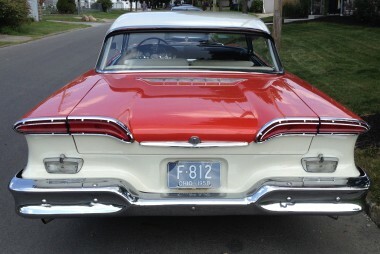 Then the Edsel was finally rolled out, with great fanfare, on one day in September 1957. And the Edsel bombed, completely. It was such a colossal failure that, despite sinking huge amounts of money into the effort, only a few years later Ford recognized the inevitable, production on the Edsel ceased forever, and its name entered the lexicon as synonymous with corporate catastrophe. Why did the Edsel fail? 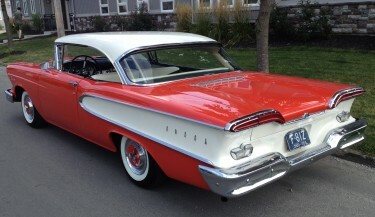 Countless people have weighed in on that core question, and no doubt the Edsel is still and will always be a case study in MBA and Marketing programs across the country. And people have identified lots of potential reasons. 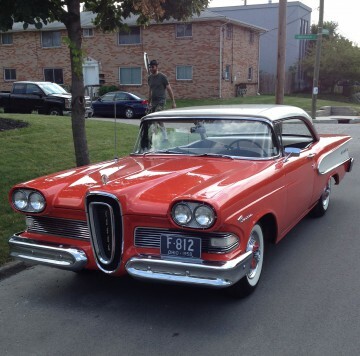 The economy was just moving into recession as the Edsel was introduced. The marketing campaign had raised public expectations so high that no product, no matter how great, could possibly match them. 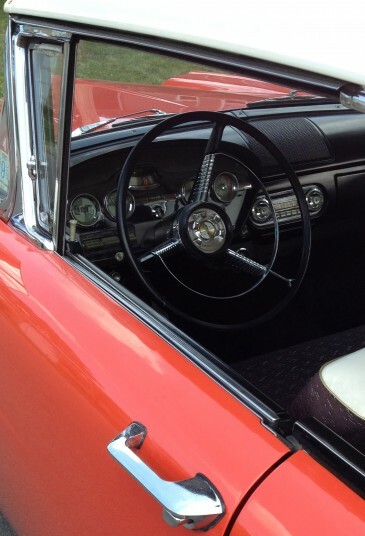 The Edsel was too technologically advanced, with a push-button transmission set-up in the middle of the steering wheel and other novel features. Ford tried to do too much by creating an entirely new car brand, with 18 new models and more than 1000 brand-new dealerships. And some of the reasons even target the American car-buying psyche. Some people argue that the top-of-the-world Americans of the ’50s were looking for huge, overpowered, rolling phallic symbols that would serve as tributes to their masculinity. The Edsel’s distinctive front grille, they say, not only did not have the phallic element that Americans instinctively craved, but in fact suggested the exact opposite. Why did the Edsel fail? I’m glad to leave that question to the academics and armchair psychologists and marketing gurus and corporate planning executives. All I know is that when I see an Edsel on the street, I’ll gladly give that low whistle and take a good look at what remains a very cool car. Mr. Webner, long time, no talk! It’s the federal government calling to update you on your GM investment. For the love of God! Leave me alone! We got rid of our land line so you wouldn’t bother us any more. How did you get this number? Don’t be naive, Mr. Webner. We’re the federal government. Now let’s talk about that GM investment. We liquidated the last of our GM investment in December, and incurred only a $10 billion loss on our $49.5 billion investment!. Isn’t that wonderful? Wait a second . . . did you say a $10 billion loss? 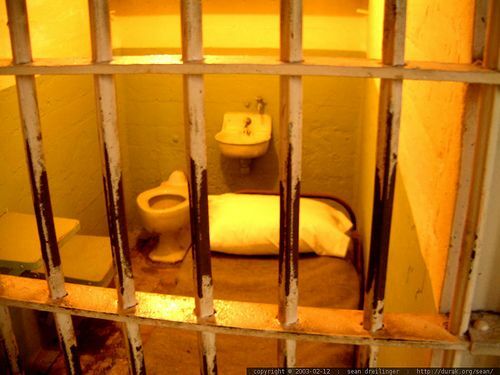 You’re happy that the government lost more than 20 percent of our investment in GM? That’s right. GM stock has gone in the dumper over the last few months. By wisely selling when we did, we’ve managed to keep our losses to only $10 billion. If we’d held on and tried to sell now, we’d have a much bigger loss! Isn’t the drop in GM’s stock due to some extent to its problems with faulty vehicles due to a faulty ignition switch? Were you guys aware of that problem when you decided to invest our money in GM stock and then to sell it when you did? You know, there was a Senate hearing today on that issue. More than 2.5 million GM cars worldwide have been recalled, and Senators suggested that GM’s failure to act more promptly raised issues of criminality. Say, do you think you guys might be in trouble because you were aware of that whole issue? You know, the whole recall situation makes your decision to sell GM stock seem really convenient. As long as we’re on the phone, maybe you can answer this question — what did the government know, and when did it know it? Was there some insider trading here? Maybe you should get a lawyer. The problem, of course, is that the federal government (that is, U.S. taxpayers) own 61 percent of GM and are subsidizing its operations. While that is the case, GM shouldn’t spend one penny toward political contributions of any kind. Any money GM earns should be devoted to paying off its debt to taxpayers and making the company more attractive to investors when GM tries to make a public offering in the near future. It also is problematic that GM is, in effect, using taxpayer money to pick and choose candidates to support, with the inevitable acid test being whether they support “a strong auto industry” — meaning, of course, candidates who supported the GM bailout and continue to think we should do whatever is necessary to prop up the sagging, poorly managed, uncompetitive domestic auto industry. In short, even though public opinion polls show that Americans now strongly oppose the bailout culture, our tax dollars are perversely being spent by GM to encourage the continuation of that culture. It’s just another reason to make a change in how things are being done in Washington, D.C., and in Detroit.